Air-cooled, fuel-injected 250cc 4 stroke packed with features and completely bulletproof! 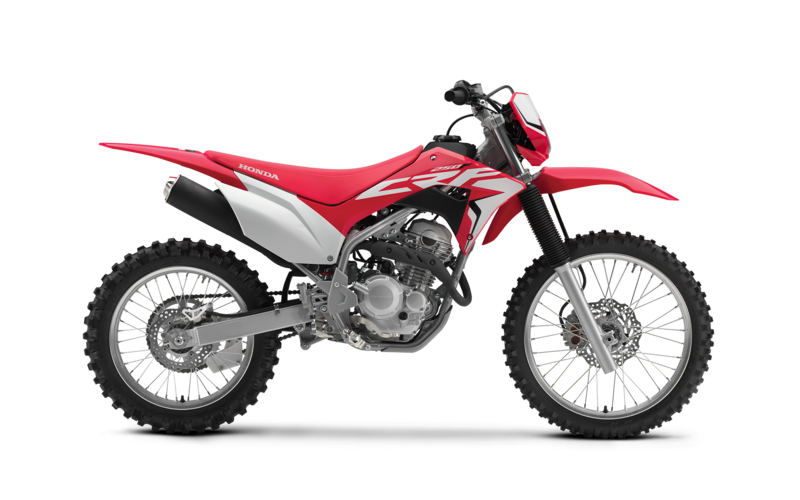 This bike is perfect for stations and/or trail riding improving on the solid legacy forged by the Honda CRF230F. We also have a Honda Shop exclusive 2019 Honda CRF250F Pre-Order Bonus Offer. Arriving late Feb 2019, We are offering a free set of Bark Busters fitted (valued at $190) for all pre-orders made before 16th Feb.